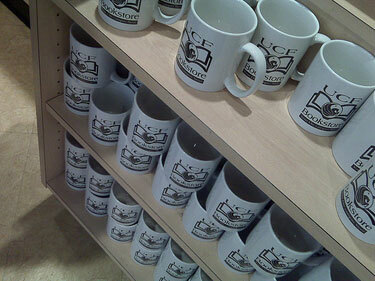 The University of Central Florida, or UCF, has a bookstore that is designed to serve many student needs. The UCF Bookstore is located at 4000 Central Florida Blvd., Bldg. 26, Orlando, FL, 32816; and the store has a website at Bookstore.UCF.edu. The bookstore can also be found through the main university’s website at http://www.ucf.edu/. While the UCF Bookstore offers a complete array of textbooks that students and professors need for any course, this store also has a variety of other features. For the athletes and fans, there is an apparel shop within the UCF Bookstore that offers a wide selection of clothing and equipment by Nike and other designers. A selection of gifts can also be found, that are geared toward providing essentials for visiting relatives or for game day. Electronics such as computers, tablet devices, and smartphones can also be found within the UCF Bookstore and on the website. The UCF Bookstore offers a unique textbook rental program that can save students substantial money. This program allows students to have books sent to their homes as they are made available. Students may then return them at the end of the semester, either by going directly to the UCF Bookstore or by mailing them back in a specially-provided envelope. Digital textbooks, or etextbooks, are another option found at the UCF Bookstore. The etextbooks supplied through the online bookstore for UCF (provided by Barnes & Noble) include the same academic material as a regular printed textbook, but in an electronic format; they offer search and browsing options, and students can take notes and highlight text, just like with traditional books. Not surprisingly, one of the first things that this UCF Bookstore’s video below recommends is ordering textbooks online in order to avoid long waits in line! Other neat videos for UCF students visiting the bookstore can be found here. The etextbook program provides students both with an official, licensed copy of the textbook, as well as a free e-reader program that allows the textbooks to be read. The digital textbooks offered through the UCF Bookstore can be viewed on both PC and Mac systems, and they may be loaded on any two devices that a person owns, allowing them to be conveniently loaded onto desktops, laptops, tablet devices, and other portable computers. 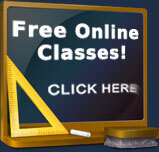 Etextbooks can also be rented, and deleted at the end of the semester. Students, faculty, and staff can also find books at Gray's College Bookstore. Located near the UCF Bookstore, Gray's is located at 4250 Alafaya Trail, Suite 240., Oviedo, FL, 32765, or online at http://ucf.graysbooks.com/.